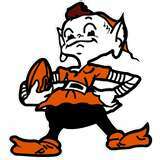 Ken Becks of 1stdownscouting joins us to talk about the Browns loss and the game against Chicago. Brent Sobleski of ESPN and Draftinsider.net joins us to preview the SEC and ACC. Lawton Swann of TigerNet Talk joins us to talk about the ACC and Clemson football. Zack Pumerantz and Jake Silver from JZ Sports join me to talk about the NFL and the NBA lockout. has spent the past twenty years in the newspaper industry in writing, advertising, marketing and multi-media. He currently lives in Florida as a free-lance writer and is owner of B & T Media Solutions. One of my favorite hobbies is fishing. I love to just get out in the outdoors and enjoy nature while fishing. I am open to all types of fishing, and have pretty much done them all. From catfish jugging in the midwest to deep sea fishing off the Florida coast to salmon fly fishing in Alaska, all of these fishing activities have the opportunity to bring me joy, and help me to find peace in nature. Bass fishing is one type of fishing that I am particularly fond of. Growing up in the midwest, I was surrounded by ponds, rivers, and lakes full of small and large mouth bass and striped bass. Early on, I made friends with others who also loved to fish. Our fishing adventures started out as explorations. We experimented with methods and baits and lures, and found out new ways to catch bass. Eventually, the competitive nature in us led to fierce competition. Each fishing trip turned into a bass fishing game: catch the most bass or catch the biggest bass. The nature of our competition evolved from bragging rights to full on bets: win one of the bass fishing games and win lunch or dinner from the others. This competition added a lot of fun to our fishing trips. It pushed our skill sets to the max. We were constantly put in situations where we needed to evolve and adapt to win the game. These experiences have partly shaped who I am today, and have helped me land a competitive, lucritive job. And aside from the learning experiences that I gained, I also grew to appreciate fishing more and more. If you too are involved in fishing, and like myself, engage in friendly or even cut-throat competition on the water, remember to always be safe, and to first and foremost have fun!